“The core of the story is being hollowed out by splitting the final novel [into two parts] and spiraling out of control,” says one box-office analyst as the Shailene Woodley series shrinks rather than grows in its third installment. In the wake of the weak box office of Allegiant, the third picture in the Divergent franchise based on Veronica Roth’s young adult novels, sources say Lionsgate will cut the budget of the fourth and final movie in the series, Ascendant, due to start shooting this summer. “The budget for the next one will be reduced,” a well-placed production source tells The Hollywood Reporter. “They haven’t said by how much,” the source adds, but it is expected several millions of dollars will be trimmed at the very least. The movies have been a disappointment for Lionsgate, which was hoping the Shailene Woodley vehicles would boost its fortunes, following the earlier successes of the Twilight and Hunger Games series. (Twilight was made by Summit Entertainment, which was bought by Lionsgate.) Both expanded Hollywood’s awareness of the potential for young-female-driven franchises. The Divergent Series: Allegiant (to use its full title) opened this weekend to an estimated $29.1 million in North America. 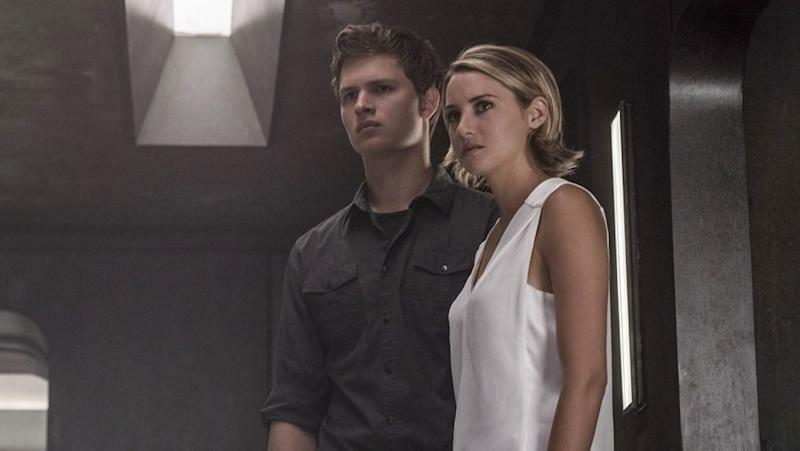 That was 44 percent down from the previous outing, Insurgent, which opened in March 2015. The new movie also is struggling badly overseas, with a take of $54 million from international theaters and a global total of $83 million. Sources estimate Allegiant’s budget at $110 million. Lionsgate’s strategy with its movie franchises has been to split the final installment into two parts, as Warner Bros. did with its wildly popular Harry Potter films. Suzanne Collins’ Hunger Games series and Stephenie Meyer’s Twilight books both were trilogies but were turned into four movies. The move worked with Twilight and, to a lesser extent, with Hunger Games, but the question now is whether Lionsgate film chiefs Rob Friedman and Patrick Wachsberger overplayed their hands in splitting Divergent’s three books into four films. Allegiant scored a franchise-low 10 percent “fresh” rating on Rotten Tomatoes and received a mediocre B CinemaScore, compared to an A-minus and A for the first two. Fans already have indicated their displeasure that the last book in Roth’s series has been split into two movies. The performance of the latest installment does not bode well for Ascendant, due out June 9, 2017. In addition to fan fatigue, the movie will face stiff competition from the sequel to Paramount’s World War Z and the reboot of Universal’s The Mummy, starring Tom Cruise. “This franchise simply isn’t strong enough to compete with the big boys of summer,” says Bock. Some observers believe the series is too reminiscent of Hunger Games, while others say Woodley lacks the star wattage of Jennifer Lawrence. But one high-level insider blames the rapid turnaround imposed by Lionsgate, arguing that its executives were under so much pressure to raise their company’s stock price with a hit in each calendar year that they did not leave enough time for quality. Other recent Lionsgate releases have included three major let-downs: The Last Witch Hunter with Vin Diesel (which opened Oct. 23 and grossed $27 million domestic and $140 million worldwide), Mortdecai with Johnny Depp (which opened last January and has made $47 million worldwide) and Gods of Egypt (which cost a reported $140 million and has earned $128 million worldwide). Lionsgate’s stock has been drifting for a year as Wall Street has mulled a post-Hunger Games future, realizing the Divergent series wouldn’t be able to fill the gaping hole. The stock skidded badly when the last installment of Hunger Games underperformed in November. When the company on Feb. 4 reported lackluster quarterly earnings — blaming Hunger Games — FBR analyst Barton Crockett chopped 26 percent off his price target. After Allegiant opened weak, the stock dropped another 2 percent on today, capping off a four-month slide of 45 percent. Starz, which is exploring a merger with Lionsgate, has seen its shares fall 11 percent in the same time frame as it has grappled with entirely different issues: cord cutting and skinny bundles. Analysts were divided over how the series’ problems would affect the company, though some stayed bullish. Amid the series’ wilting box office, speculation has been rife about whether heads will roll at Lionsgate. There has been considerable talk about executive movement at the top of its film division, not least about the future of co-chairman Friedman, who joined Lionsgate from Summit, which he headed with Wachsberger. How quickly anything might happen is open to debate. One source notes “those rumors have been around for years.” Friedman gave Summit a huge boost with the Twilight saga, which was produced by his former Paramount colleague, Karen Rosenfelt, and which paved the way for the Lionsgate purchase, completed in 2012 for $412 million.